Startup Service is an initiative for turning your service intention into action. It brings together people from diverse backgrounds and facilitates the process of starting a new project, adding momentum to an existing project, or collaborating with like-hearted participants on emerging projects. 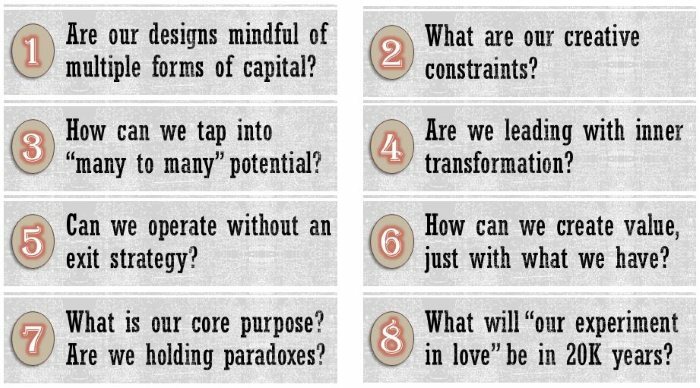 At its core, we aim to ask how entrepreneurs lead their social change work with love and inner transformation? Deep within, we know that compassion is the innate quality of our being. Yet, when it comes to starting a project or running an organization, we can end up engaging with systems (e.g. financial, economic, political, social, educational systems) rooted in fear or greed. It can even make us question whether it is appropriate to lead with these values when designing a "practical" project. At Startup Service, we want to hold these difficult questions together. We want to think creatively about different forms of capital; we want to deepen our understanding of incentives beyond money, power, fame and impact;we want to design with a longer time horizon. 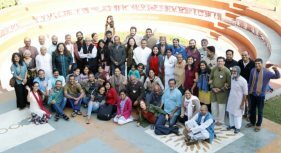 We don't know answers, by after having hosted more than 50 retreats, we know that if like-hearted people come together, a new field of collective intelligence awaits us and the world. We invite you join the next retreat, this December, whether you are a project initiator or want to engage with someone's labor-of-love venture, whether you are seasoned industry veteran or a budding entrepreneur. Together, perhaps we can chart a new path that leads with love. 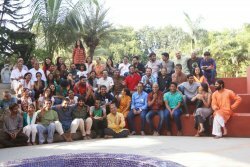 We're thankful for the inspiration of many such agenda-less gatherings held around the world. If you have any questions, please contact us anytime.